Editor’s note: Our today’s speaker is a man with almost ten years of e-commerce experience. One of the bright minds standing behind the scenes of 3dcart success. 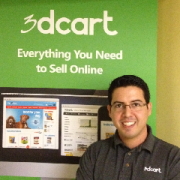 Chief Technical Officer at 3dcart - Jimmy Rodriguez. 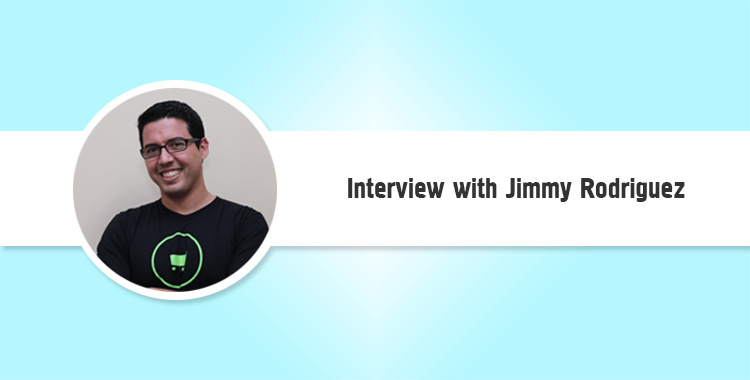 Jimmy kindly agreed to give us an exclusive interview where he shares his opinion about open source and hosted platforms, gives an insight look at 3dcart and provides business tips on successful store migration. - Jimmy, you’ve been working at 3dcart for almost 10 years. What brought you to the company? How did you get involved in e-commerce, and what was your first experience with online sales? - Before joining 3dcart in 2004, I found myself working on ERP software development with a strong focus in business operations, inventory control and logistics. I loved what I was doing, but shortly after meeting 3dcart’s CEO and Founder, Gonzalo Gil, I soon saw tremendous growth potential in working on improving the already stellar e-commerce solution that he had created. In the beginning, 3dcart was a small startup with a handful of employees, a limited budget and a few hundred clients. Gonzalo is a brilliant programmer, and the original framework for the first version of 3dcart allowed us to quickly improve and expand the platform. After spending the first few months working side-by-side with Gonzalo to perfect his vision, together we churned out 3dcart v2.0, which was, at that time, more robust and flexible than any other SaaS solution on the market. - Though open-source e-commerce platforms are leading the market, hosted solutions are becoming more and more popular. Even a lot of open-source carts have already released hosted versions. What’s your opinion? Will SaaS platforms manage to bite a bigger slice of e-commerce pie in the near future? - Absolutely. Hosted solutions are, without question, the way of the future. Open-source e-commerce solutions are seemingly free, but many are very difficult to use for everyday people. This limits the open-source market to programmers and/or website designers while leaving non-technical business owners to seek alternative options. Furthermore, without programing knowledge, those that want to use open-source solutions are typically forced into hiring outside help, and this negates the underlining value that comes with being apparently free and open source. In addition, many open-source platforms are feature-light, and in order to customize one’s e-store, they need to purchase expensive modules and add-ons that were likely designed by third-party affiliates of their chosen solution’s parent company. These add-ons are often buggy, which in turn yields a wealth of technical problems coupled with the time, money and effort it takes to fix them. Users shouldn’t be fooled into thinking that opening an online store with a free, open-source solution won’t cost them anything. Nothing in this world is free, and trust me, with open-source solutions, you’ll be paying more for third-party support, modules and templates than you would if you were to choose a hosted SaaS solution like 3dcart, which comes with free 24/7/365 technical support, hundreds of enhanced e-commerce features, dozens of customizable templates and a committed team dedicated to helping its clients succeed. SaaS solutions like 3dcart charge a flat monthly fee, but with that fee, you get free technical support, access to a wealth of enhanced e-commerce features and professional resources, along with the option to customize everything about your store from the homepage slider all the way down to the deepest levels of a website. Some will argue that SaaS solutions limit customization options, and I think that’s untrue. Pretty much every e-commerce solution on the market now includes powerful API’s that lift past limitations while giving users complete control over design and functionality. - 3dcart is one of the front players among hosted e-commerce solutions. What features or benefits let your platform stand out of all the other competitors? - Many of our competitors only offer basic functionality features while opting to promote third party applications for a more enhanced e-commerce experience. At 3dcart, we think enhanced functionality should be standard, and that’s why we offer more than 275 out-of-the-box features that have all been designed to help our clients stay ahead of the technology curve and in front of their competition. From built-in features like newsletter email marketing, auto-responders, real-time shipping calculation, label printing, freight calculators, fraud prevention, autoship and so much more, 3dcart provides users with everything they need to open, operate and maintain a uniquely successful online store without having to spend an arm and a leg on what they really need to be successful in the e-commerce industry. So while 3dcart’s competition provides the skeleton that’s needed to operate an online store, we provide both the framework and the filler so our clients can save time and money while continuing to get the most out of their e-commerce experience. In addition, 3dcart also offers clients more than 100 options to accept payments online via partnerships with companies like PayPal, Stripe, Dwolla, BitPay, Authorize.net, USAePay, Paymentech and more, which are all included as native features inside 3dcart. - 3dcart is considered to be more suitable for small and mid-sized business. What is your opinion on that? For whom is your platform more reasonable? Could you describe a typical 3dcart store owner? Considered by whom? I’ve always believed 3dcart to be perfect for business owners of any size. Not only can small mom-and-pop type operations use our platform and thrive, 3dcart outperforms the competition when it comes powering medium-to-large businesses moving heavy volume. Our client database is reflective of that, and our customers range from small stores like Verde Direct to large businesses like Candy.com and The New York Times Store. As for describing a typical 3dcart store owner, I don’t think there is one, and I’m very proud of that fact. Our merchants are diverse and unique, and there is no way I’d be able to classify them into a general category. - As you know, Cart2Cart is a web-based migration service, and we are now observing that more and more people wish to migrate to 3dcart. Could you advise how to prepare for migration properly? - We’ve had many merchants already migrate from open-source solutions and other hosted e-commerce providers using Cart2Cart. The process is quick and seamless, and as long as one’s product and category structure is clean and organized, store migration using Cart2Cart is exceptionally efficient. - What’s the most difficult part of data migration procedure? Are there any tips to make it smoother and more effortless? The process is already very smooth, but we have observed a common issue that arises when merchants want to alter their business model at the same time they’re migrating. So rather than simply migrating their existing store(s), they’re attempting to redefine their business model at the same time. In an effort to avoid this complex problem, I strongly recommend that merchants who wish to alter their business model do so after the migration process has been completed, not during. Also, 3dcart can effectively clone existing stores into a development account and allow merchants to play in a sandbox of sorts without affecting their live e-commerce website. - According to the statistics 3dcart has more than 15000 customers. This is a huge army of people who really enjoy your platform. Could you share the secret of success? What makes your shopping cart so hot? - The secret to our success, that’s simple. 3dcart is growing in popularity because our solution evolves with changing technology. The entire 3dcart team works hard to regularly establish new partnerships, add features and improve our free round-the-clock support efforts. We do all of this not only because we love it, but also because we want our merchants to thrive in a competitive market. If they’re successful, we’re successful. If they fail, then we’ve in some way failed them. Because we are so passionate about the success of our clients, we proudly power more profitable e-commerce websites than any other SaaS solution on the market. And while our competition continually strives to avoid one-on-one customer interaction, we embrace and encourage it. Helping online store owners succeed is what we’re all about, and we remain honored to serve so many amazing clients, all of whom have unique needs and goals for the future of their e-commerce business. Note: Don’t forget that you can swiftly move to 3dcart right now with Cart2Cart. Learn more or start migration right away.